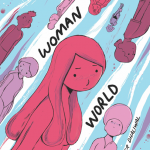 Archie, a genderqueer comic artist, and their good friend Tristan, a cisgender male writer, team up to help both cisgender and non-binary people better approach and understand non-gendered pronouns. 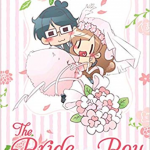 In the first section, Tristan and Archie explain how to use gender neutral pronouns and how to most respectfully determine which pronouns a person goes by. In the second section, Tristan speaks directly to those who are gender non-conforming. Based on their own personal experience, they explain how to best navigate some of the challenges gender non-conforming people will most likely face. 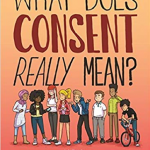 The authors do a wonderful job of presenting a very pertinent issue with humor in a friendly and conversational manner. Both Tristan and Archie draw heavily from their own experiences in this guide. They use their personal knowledge of the topic to help others understand concepts that can be challenging for both cisgender and gender non-conforming people. They discuss ways to navigate the very gendered social construct of our society in a non-gendered way. The simple ink illustrations add to the humor and relatability of the text, presenting an information guide in a fun, engaging, and personal manner. Additionally, the particular illustrations of Tristan’s pain and frustration at being constantly misgendered by everyone from acquaintances and bystanders to friends and family portray the importance of pronouns to those who are not on the gender binary. 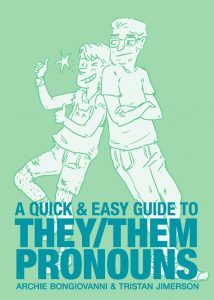 Though targeted to adults, this guide is equally pertinent to genderqueer teens and their friends who want to best support them. 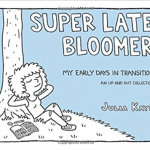 Give this book to teens looking for information on genderqueer topics or those who enjoyed Calling Dr. Laura: A Graphic Memoir by Nicole J. Georges and Beyond Magenta: Transgender Teens Speak Out by Susan Kuklin. Twin sisters Kat and Anna perform for the Samson Brothers Traveling Circus. Kat as a knife thrower, and Anna as a “psychic”. When Kat is murdered, Anna discovers she actually has real second sight powers. Kat starts to speak to her and through her as she tries to help Anna solve her own murder. Meanwhile, all hell breaks loose among the rest of the circus troupe as their boss and ring leader, Jebediah Tetanus is thrown in jail by a corrupt small town sheriff. Friendship, love, and family bonds will be tested as the troupe tries to free Jeb and solve the crime. The strong lines and off beat colors help flesh out the story of circus life and the supernatural, and the green lines and colors of the ghosts help separate the two worlds. 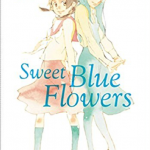 The story is full of action as well as characters richly drawn in all shapes, sizes, and abilities. Teens will appreciate the diversity as well as the humor, and a cliffhanger of an ending will have them anxiously waiting for volume two. Perfect for fans of the supernatural and mysterious tales with female fronted stories such as Coady and the Creepies by Liz Prince. Intergalactic bounty hunters and best friends, Kim D. and Kim Q. have just caught the biggest bounty of their lives. 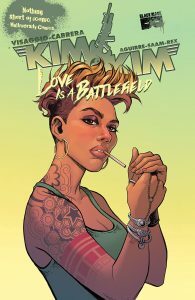 But when Kim D. runs into her ex-girlfriend before they can submit the final piece of evidence to secure their bounty, the Kims lose their payday and once again find themselves fighting their pasts and each other to make a living. With the help of their mercenary friend, Kathleen, the Kims might be able to reconcile their differences, get back their money, and even get a little payback on Kim D.’s horrible ex. Visaggio presents a unique and entertaining future world that is still very relatable to older teens battling the demons of early adulthood. Though the Kims travel the cosmos hunting the next big bounty, they also struggle to make rent, encounter awful exes, and discover old friends becoming so much more. They are also besties trying to be supportive while watching each other make bad romantic decisions and other reckless choices. 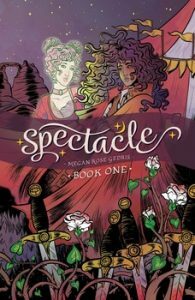 Like in the first volume, Vissagio presents wonderfully diverse queer characters with familiar struggles for young adults. The bright coloring of the illustrations and the edgy and modern depiction of the characters perfectly complements the story. While some of the content may be mature for younger readers, older teens will enjoy the humor and action of the Fighting Kims’ newest adventure. Recommended for YA+ that are fans of Saga by Brian K. Vaughan, and America vol. 1: The Life and Times of America Chavez by Gabby Rivera.